This post is the third in a series of blog posts written by George Washington University students in Dr. Joshua A. Bell's anthropology graduate seminar Visual Anthropology: The Social Lives of Images (Anthro 3521/6591), Fall 2016 graduate course. Dr. Bell is the Curator of Globalization in the Smithsonian's National Museum of Natural History's Department of Anthropology. Students in this course chose a collection that features visual materials (drawings, film, photographs, or paintings) from the National Anthropological Archives, and researched its material, thinking through the scale and scope of the collection and situating it within the wider discipline of anthropology. These collections are available for research at the National Anthropological Archives. Detail of an aerial photo of the American Southwest, Image 8 “Ildefonso,” Photo Lot 2010-13: Ezra Zubrow aerial photographs of the Rio Grande Pueblos, circa 1967, National Anthropological Archives, Smithsonian Institution. 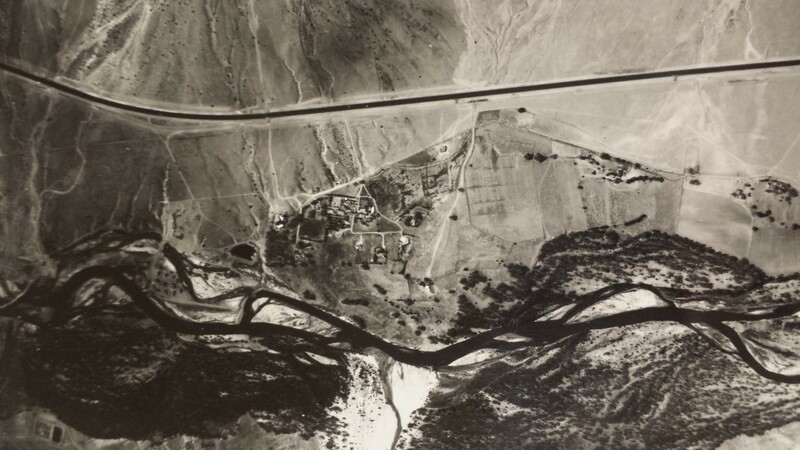 When I first picked up Ezra Zubrow’s aerial photographs of pueblo settlements in the Rio Grande Valley, I had trouble knowing what I was looking at. The landscape of the American Southwest mark the aerial photos with its mountains, hills, rivers, and desert. Roads, farms, and small communities show the ways that people have transformed the terrain. But none of this looked like the desert I had seen growing up in the area. 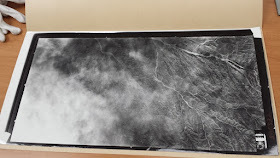 Shot from high above, some of the black-and-white photos look like moonscapes; others look like roots creeping through soil, or capillaries through a body. Some are washed out and light, while others are a chiaroscuro of black rivers and foliage and white deserts and mountains. Clouds seep into one photo, obscuring the landscape below. Photographed across eastern Arizona and western and central New Mexico in the late 1960s, the collection of sixty-four images vary in specific subject matter and contrast, but the series of black and white aerial photos give one a sense of the expanse in the land that is the West. Aerial photo of a Laguna pueblo in the American Southwest, Image 17 “Laguna,” Photo Lot 2010-13: Ezra Zubrow aerial photographs of the Rio Grande Pueblos, circa 1967, National Anthropological Archives, Smithsonian Institution. The photos also evoke a story of chance encounters, military exercises, and an archaeological expedition. The photographs date back to 1967 or 1968, when Ezra Zubrow was a graduate student at the University of Arizona working on an expedition in the Southwest. One day planes—Zubrow guessed B-52s—flew low over the expedition’s dig site. “I remember looking up and I would swear that the bomb doors were open,” he wrote in correspondence with an archivist at the National Anthropological Archives. “When my ears stopped ringing, I thought to myself those planes must have cameras to record the dropping of the bombs and if they happen to come by again maybe I could ask them to take pictures of our excavations” (Zubrow 2010). Zubrow wrote to the Air Force requesting photographs, but had no name, base, or contact information to go off of. So he mailed the letter to “Commanding General US Air Force, Pentagon, Washington, DC” and quickly forgot about the request. Aerial photo of a Tesque pueblo in the American Southwest, Image 57 “Tesque,”Photo Lot 2010-13: Ezra Zubrow aerial photographs of the Rio Grande Pueblos, circa 1967, National Anthropological Archives, Smithsonian Institution. Many scholars have written about the “social biography” of objects such as photographs (Edwards 2012). Just as a biography of a person looks beyond just their appearance, the social biography of a photograph does more than just analyze the image for its aesthetics and content, but also looks at who made it, how it was circulated, why it was made in the first place. It’s very easy to get lost looking through the Zubrow photographs as you trace rivers and try to identify tiny farms; it’s also very easy to get lost in the photos’ social biography—the story behind how they came to be. That’s because, two and a half months after sending the letter to the Pentagon, Zubrow suddenly received a package from the reconnaissance department of the Air Force with photographs of the excavation site and a letter acknowledging his request. Wanting to thank the individuals involved, Zubrow made several calls before finally connecting with an Air Force base in southern Arizona and making an appointment with the colonel who had sent the letter and photos. When he went to the base to meet with the staff, he received a tour that included catching a glimpse of a chalkboard listing “missions, plane numbers, and pilots. There were a range of missions scheduled for several weeks and when I realized that several of them were over Vietnam, Cambodia, China, and Russia I stopped in my tracks.” Stunned, Zubrow asked what types of planes the base housed. “They said it was a U2. I was speechless” (Zubrow 2010). He would even see a U2 plane land at the base while he made his way back to his car. Zubrow went on to become friends with one of the Air Force lieutenants, and the following semester requested that they photograph the pueblos. He even helped map out the flight plan. The result is the sixty-four 10” x 20” prints that are now a part of the National Anthropological Archives. To hear the rest of the story of these photographs, check back for part two on Friday! Edwards, Elizabeth. 2012. “Objects of Affect: Photography Beyond the Image.” Annual Review of Anthropology, 41, 221-234. Pinney, Christopher. 2012. “Seven Theses on Photography.” Thesis Eleven, 113 (1), 141-156. Photo Lot 2010-13. 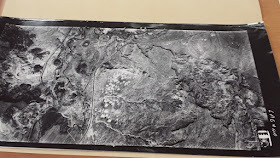 “Ezra Zubrow aerial photographs of the Rio Grande Pueblos.” National Anthropological Archives, Smithsonian Institution. Price, David H. 2016. Cold War Anthropology: The CIA, the Pentagon, and the Growth of Dual Use Anthropology. Durham: Duke University Press. Zubrow, Ezra B.W. 2007. “Remote Sensing, Fractals, and Cultural Landscapes: An Ethnographic Prolegomenon Using U2 Imagery.” In Remote Sensing in Archaeology, edited by James Wiseman and Farouk El-Baz. New York: Springer, 219-235. Zubrow, Ezra. 2010. E-mail to NAA archivist Gina Rappaport, April 22. 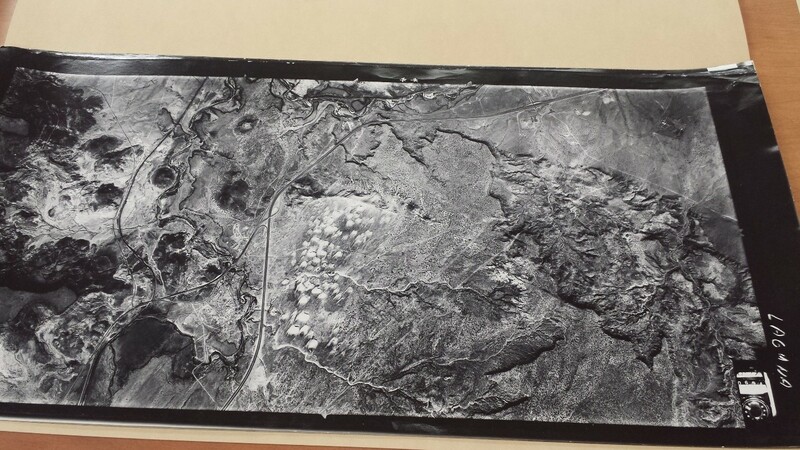 Included in finding aid to Photo Lot 2010-13, “Ezra Zubrow aerial photographs of the Rio Grande Pueblos.” National Anthropological Archives, Smithsonian Institution.